The best part of a fast video player, without doubt, is its up-to-date processing kernel: Even if your computer is quick enough to play HD, 1080p, 4K videos, a double-quick multimedia player is necessary to guarantee 100% stability without glitch. End your search here in front of this free & fast video player for Windows 10 - 5KPlayer. 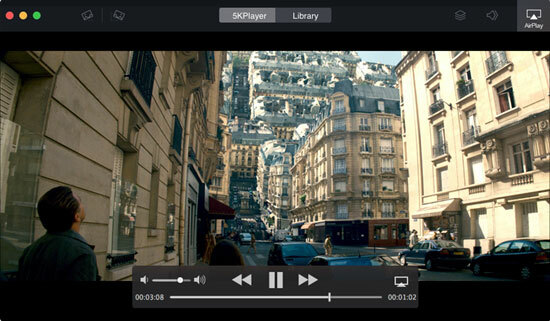 Take a look at how it tweaks your 720p, 1080p, 4K videos to perfection! 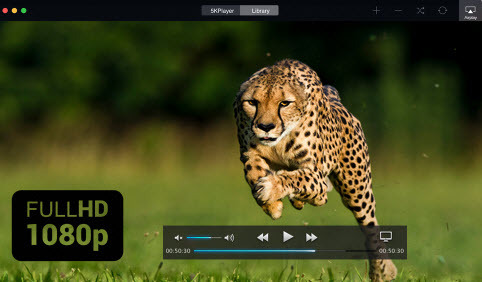 Backed-up by hardware acceleration technology, 5KPlayer is a peerless fast video player both in playing videos and downloading big-sized files online. If you're thinking of a flexible, compact and fast video player for Windows, chances are that you're thinking of relatively-low CPU demand, hence diminished program functions. However, is there an option encompassing practical functions into a light-footed built to play videos glossily with original quality? That been asked, take a look at the review of top 4 fast video players 2019 Windows 7/10 and Mac (OS Sierra) to find the answer. Definitely your wise option that swiftly plays all state-of-the art 720p, 1080p, 4K, 5K videos without hassle. As one of the top 5 media players for Windows 10 powered by TrueTheater technology, 5KPlayer is a fast video player Windows 10 to render silky-smooth image with high dynamic range (HDR). Specs from its professional developers team proves 5KPlayer ideal in fast video downloading: It takes less than 2 minutes to download a 5-minute MP4 video in 1080p under home network environment, and the better your bandwidth the glossier the download. 3. Point to the very media file > Right Click > Open with > 5KPlayer. You may expect a wide range of mainstream video formats to go well with 5KPlayer, including MP4, MOV, and MKV, together with more intricated, high-def video formats like H.264, H.265. Being one of the best fast HD video players, running high-def videos is one tagline feature amongst its oodles of goodness. 2. Download videos into MP4, FLV, WebM, 3GP as per settings. 3. A 100% green and clean fast video player encompassing all popular video & audio codecs. Another fast video player worth considering, especially when you would give up some less basic functions for fast performance is the well-acclaimed Media Player Classic - Home Cinema: Video playback within MPC-HC is downright easy - Launch this lightweight media player, throw a video file at it, and you're good to go. Regretfully there's no downloading or online streaming function in MPC-HC for Windows 10 as you can find in 5KPlayer. The best part about MPC-HC is, of course, its file size: 12MB for 36bit version and 12.8MB for its 64bit version, pretty suitable for CPU-bound users. 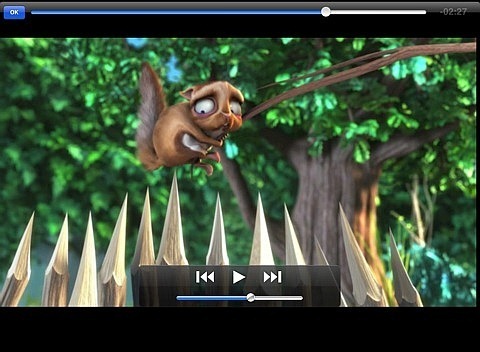 That been said, give this fast video player a spin if space-saving is your serious concern. Now that it's hard to strike a balance between quick performance and full-fledged functions, VLC Media Player may serve you better in terms of the technical tweaks and operations as befitting a fast video player. Unlike 5KPlayer, which puts quick response on top of all, VLC proves burdensome as it has a whole lot of options to configure. But you may still take it in case of any upgrade demands in the future. 1. Support Windows 10/7/8.1, macOS Sierra or before, Linux, etc. 1. Chunky add-ons and plug-ins. First introduced in Korea, GOM Media Player made its way to the international market being the first few to ship free VR support. It provides 2 series of hardware decoding options: you may choose "Auto" mode, which is under the menu: Press F5 > Filter > Codec > Codec Behavior Settings > Enable Hardware Settings ( given that your computer's hardware (GPU) can be activated for graphic processing tasks. 1. Can call on QSV (Intel Quick Sync Videos technology) to process image units. 1. Software startup is slow due to its cover-all configurations. 2. GOM Media Player audio and video out of sync problems when playing fast-motion pictures. 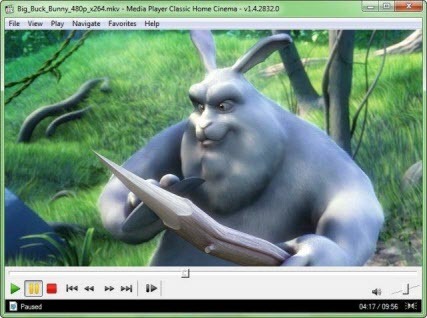 Instantly download this fast video player for Windows 10 (also support Windows 7/8.1 and Mac), finish installation following the wizard, and then launch it. Step 1. Play 720p 1080p 4K videos by simply clicking "Video" tab on the main interface, which takes you to the default video archive folder on your computer, double click on a video icon therein. Drag & drop a MOV file to the main window, or simply right click on target video file, and navigate to "Open with -> 5KPlayer" option may also help you quickly load videos. Step 2. Fast forward & backward a video file. 2. Fast backward: Press "←" on the keyboard till your jump to a passed scene. Boasting a robust YouTube download kernel, you may also use this fast video player to downloading videos to local folders. Step 1. Search for a valid video streaming page, copy & paste its URL to the video player. Step 2. Visit the YouTube download function panel by clicking "YouTube" on the UI, hit "Paste & Analyze" before you click "Download" . Tips: Through Settings > Downloader > Preferred Video Format & Preferred Video Resolution, you may customize the video to download. By and large, choosing a relatively low resolution & WebM can shorten the download time, yet diminished video quality. You may hence choose accordingly. Further Reading: What Makes Your Fast Video Player Work Better? Everyone of us expects a video player to render better images, high quality video files in any format we throw at it without causing any stutters or glitches. It shouldn't shorten the battery life of a computer while presenting intact images. More often than not, a fast video player has ample muscle for video files with higher bit rate, frame rate and resolution thanks to it's built-in hardware decoding technology. 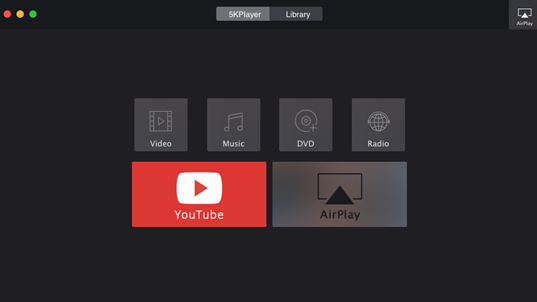 Looking for a video player for all formats free download (Windows 10 supported)? End your search now with 5KPlayer.